Pure Flavor Burley Available content of: 10 ml Tips for mixing: from 2% to 5% up to a maximum of 10.. 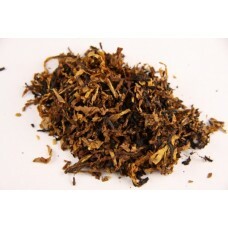 Pure Flavor Cherry Tobacco Available content of: 10 ml Tips for mixing: from 2% to 5% up to a m.. Pure Flavor Desert Ship Blend Available content of: 10 ml Tips for mixing: from 2% to 5% up to a ma.. Pure Flavor Mellow Sunset Available content of: 10 ml Tips for mixing: from 2% to 5% up to a maximu.. Pure Flavor Oriental Available content of: 10 ml Tips for mixing: from 2% to 5% up to a maximum.. Pure Flavor Perique Black Available content of: 10 ml Tips for mixing: from 2% to 5% up to a maximu.. Pure Flavor Tuscan Flavor Available content of: 10 ml Tips for mixing: from 2% to 5% up to a ma..